The Peoria Chiefs entered the 2017 Midwest League campaign with much optimism. Coming off a first-half division title in 2016, the Chiefs reloaded with another young and talented roster that included two first round picks, Dylan Carlson and Nick Plummer. 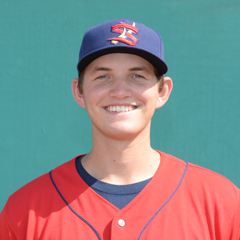 In addition to their talent, the Chiefs were also led by first year manager Chris Swauger, who led several of the new Chiefs to the 2016 Appalachian League Championship. The young players suffered through some growing pains in the first half of the season. But Peoria had some impressive individual performers, such as pitcher Jordan Hicks who finished the first half 7-2 with a 3.35 ERA. Two other first-half stars included catcher Andrew Knizner and second baseman Andy Young. While the Chiefs were immensely talented, they struggled to win games together, finishing 30-39 at the break for a seventh place finish. 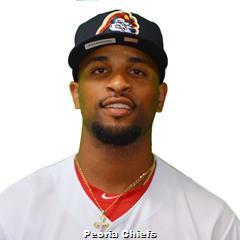 Although many of talented Chiefs were promoted, Peoria found consistency in the second half despite the roster turnover. This consistency began with the leadership of Stefan Trosclair and Brian O’Keefe. The Chiefs closed the second half of the season 39-31, giving them a playoff berth as the second-place finisher. Peoria pushed the Quad Cities River Bandits to three games, but could not pull off the first-round upset. The Chiefs were led by their offense from the get-go. Peoria got a lot of their run production via the long ball and led the MWL in home runs for the first half. However, while the offense was strong, it seemed if anyone other than Jordan Hicks was on the mound they would be playing from behind. That was the case until Mike O’Reilly caught fire. O’Reilly was unhittable in the month of May as he went on a three-start stretch allowing just five hits in total. O’Reilly continued to dominate opposing hitters through June and into July, winning six consecutive starts. A few guys could not shoulder the load for the entire team, however. Those two first-rounders from whom the Chiefs thought they would get more production, Nick Plummer and Dylan Carlson, struggled mightily. From the mound, outside of O’Reilly and Hicks, quality starts were few and far between for Peoria. After that seventh place finish in the first half, the team lost many of their more polished players. Knizner and Hicks were quickly called up to Springfield and Palm Beach, respectively. 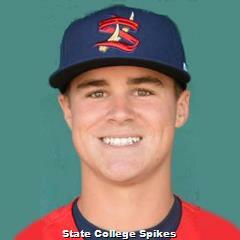 However, the Chiefs were the benefactors of a solid 2017 draft and received good production from two collegians, shortstop Kramer Robertson and pitcher Evan Kruczynski. The rookies along with State College call-ups such as third baseman Danny Hudzina and a trade acquisition, first baseman Juan Yepez, helped Peoria fill the void left by their departing stars. Ian Oxnevad was a work horse and headed the starting rotation as it heated up down the stretch. RHP Leland Tilley was a dominant force out of the bullpen late in the season as well, something that the Chiefs had not seen since Eric Carter earlier in the season. The starting rotation boasted two mid-season All-Stars. While they had two different styles on the mound, Jordan Hicks, a power pitcher, and Mike O’Reilly, fixated on command, both got the job done for Peoria. In the second half, the Chiefs utilized a very young starting staff that also included Anthony Shew and Austin Warner. They finished with ERAs of 2.95 and 3.00, respectively. Though Peoria’s starting pitching staff was by no means dominant, Swauger never knew what he was going to get when he tapped into his bullpen. Eric Carter and Brady Bowen provided stability early on, but once they were promoted upward, it was a while before more clarity was established. The trio of Max Almonte, Dewin Perez and Yeison Medina garnered the most usage throughout the second half. 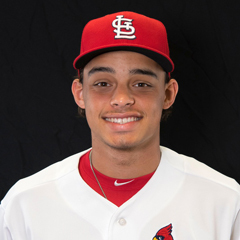 One pitcher who had promise coming into the season was Ronnie Williams, ranked among the Cardinals organization top 25 prospects. Williams however had a season to forget as he was moved from a starter into the bullpen early on and ended with a disappointing 6.94 ERA. Peoria’s offense carried the team throughout the season. When the offense slumped, the team failed to win. However, on that same note, when the offense was clicking, the team racked up tallies in the win column. One reason the Chiefs offense was able to remain so solid throughout the season was that they were well balanced. That was the case even as the lost talented players – such as Andrew Knizner, Andy Young and Tommy Edman – each batted over .280 and combined for 85 RBI. As the second half went on, the Chiefs received productive spurts from just about everyone in their lineup. With streaky players like Matt Fiedler, Mick Fennell, and J.R. Davis chipping in where they could, Trosclair and O’Keefe provided stability to the middle of the order. Trosclair and O’Keefe led the team in both hits and RBI. The Chiefs had six representatives named to the Western Division All-Star Team – Andrew Knizner, Andy Young, Stefan Trosclair, J.R. Davis, Jordan Hicks and Mike O’Reilly. At the break, Knizner was batting .271 with seven home runs. 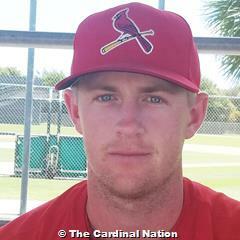 He also got the job done defensively, as he threw out 36% of would be base stealers in the first half. Knizner was named the starting catcher for the West. Young, batting .290 was leading the Chiefs in just about every category including hits, home runs (nine), RBI (32), total bases, OBP and slugging percentage (.534). 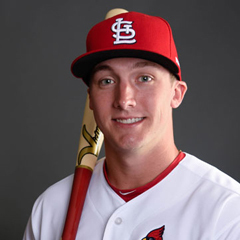 The Cardinals promoted both Knizner and Young before the game, with second baseman J.R. Davis added to the team to replace Young. Trosclair was deserving of an all-star spot as well. The first baseman was batting .276 with three homers. O’Reilly was 3-1 with a 2.08 ERA in eight starts, during which he struck out 39 and walked just three. Hicks was 7-1 with a 3.54 ERA in 10 starts while striking out 40 and walking 27. 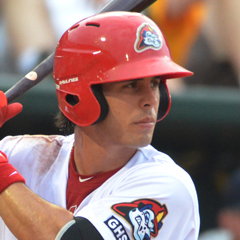 The Chiefs had no representatives on the Midwest League post-season All-Star Team. The legend of Mike O’Reilly began in this game. In his third start of the season, the New York native took a perfect game into the seventh and a no-hit bid into the ninth inning. O’Reilly won his next four starts and lowered his ERA to 1.69. Against Beloit, O’Reilly allowed only one hit while walking one and striking out a personal best 10 batters. Brian O’Keefe’s home run in the fourth was the lone score and helped O’Reilly pick up his first win of the season. After being swept out the playoffs last season, Peoria was back into the postseason for the second straight year. The Chiefs took on the Quad Cities River Bandits in Game 1 of the three-game series and what turned out to be the final contest of the year at Dozer Park. Third baseman Evan Mendoza’s walk-off single gave the Chiefs a 4-3 victory. The game went into the bottom of the ninth tied 3-3. Outfielder Mick Fennell led off with a walk and shortstop Kramer Robertson laid down a sacrifice bunt to move Fennell to second and went to third on a wild pitch. All-star Stephan Trosclair walked to give Peoria runners at first and third with one out. 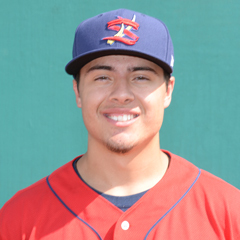 Mendoza then sliced a single into right to score Fennell and give the Chiefs their first and only postseason victory in 2017. 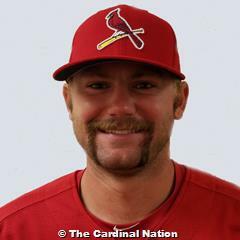 Ian Oxnevad, the most experienced pitcher on the roster, toed the rubber for Peoria. The lefty went six innings in a no decision, allowing two runs on three hits with three walks and a strikeout. Link to master article with all 2017 award winners, team recaps and article schedules for the remainder of this series. 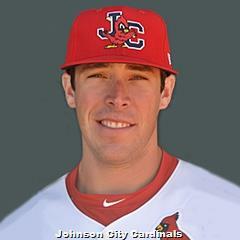 Of course, that will include our selections as the Peoria Chiefs Reliever, Starting Pitcher and Player of the Year. Follow Nick Konow on Twitter @NickKonow1.